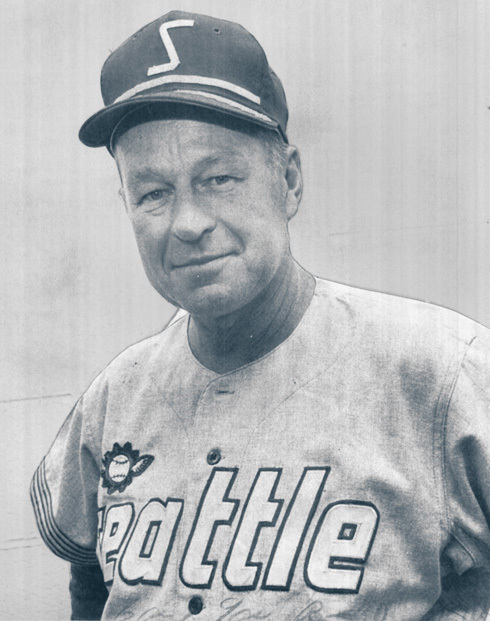 The Seattle Pilots occupy a unique space in the modern annals of Major League Baseball. They played only one season—162 games—in their sole campaign in the Pacific Northwest, wearing some of the most distinctive uniforms in the history of professional sports. The club moved to Milwaukee just prior to Opening Day of the 1970 season, reborn as the Brewers. St Louis Cardinals coach Joe Schultz was named as the team's first manager on October 10, 1968. The announcement took place during the ninth inning of the decisive seventh game of the World Series between St Louis and Detroit. He was depicted that day wearing a prototype road jersey and cap. The headwear features a simple italicized lower case "s." The jersey typography is straight across; the "s" in "Seattle" matches the cap. The road jersey lettering is fairly close to what the Pilots would eventually wear during their only season. I recently came across an image that was published in the New York Times on December 4, 1968, the contents of which blew me away. 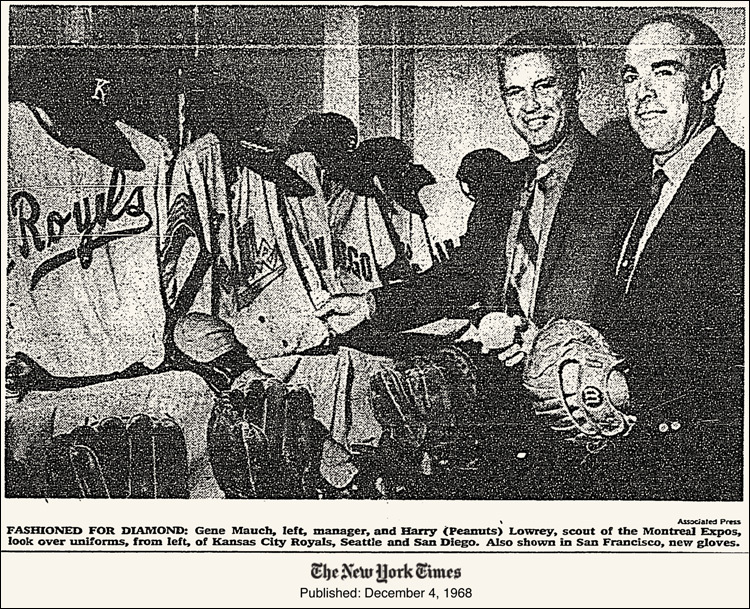 The shot shows Montréal Expos manager Gene Mauch and scout Peanuts Lowrey posed in front of a set of uniforms at the MLB meetings in San Francisco. The frontmost jersey is that of the expansion Kansas City Royals (it contains a detail that never saw the field of play in the end of the script tail, under the "R".") Next to that is a jersey for the Seattle Pilots with a blocky "Seattle" wordmark, something that I have never seen before. When the team reported to Spring Training in 1969 they wore simple jerseys featuring a block-serif "PILOTS." The headwear contained a simple yellow/gold "S" with no additional embellishments. There were two jerseys, a white home version and a gray road version, each of which were devoid of trim or detail. The Pilots played their first ever game on the road in Anaheim on April 8, 1969. 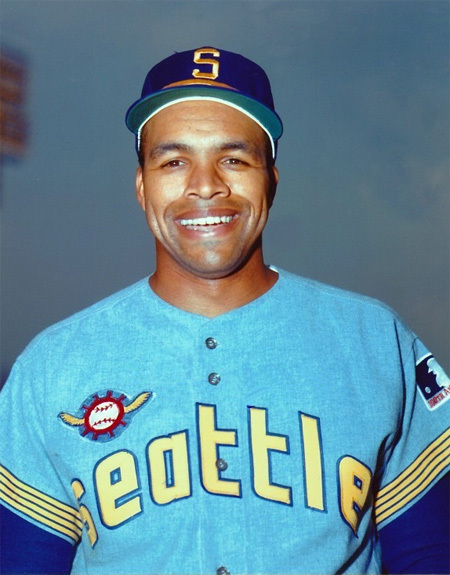 Their distinctive powder blue road uniforms featured four gold "captain's" stripes on the sleeves, an arched "Seattle," and a derivative of the club's pilot wheel logo. The same article indicates that the home uniforms were to feature blue belt loops and a gold belt buckle, neither of which ever saw the light of day. Multiple sources say that the jerseys were a work in progress right up until Opening Day. "There was a lot of grousing about the uniforms. ... I guess because we’re the Pilots we have to have captain’s uniforms. They have stripes on the sleeve, scrambled eggs on the (bill) of the cap and blue socks with yellow stripes. Also there are blue and yellow stripes down the sides of the pants. We look like goddamn clowns."